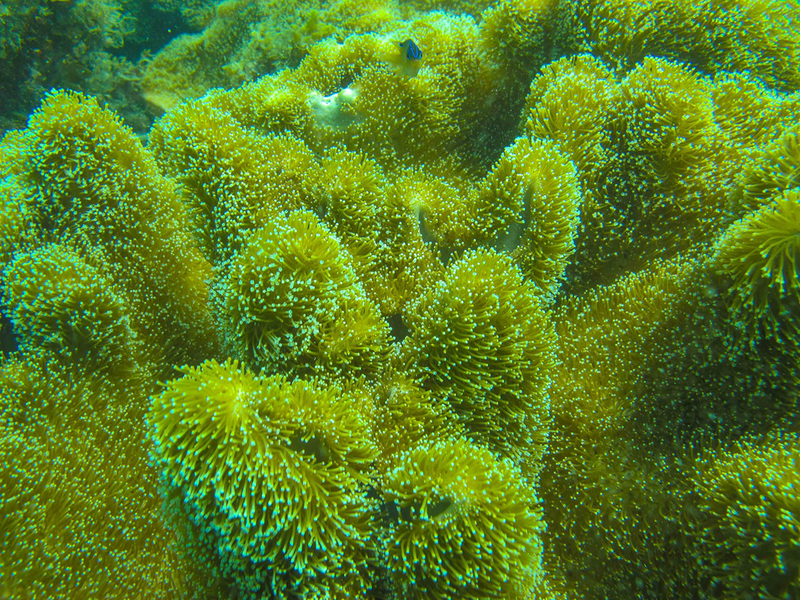 The tide goes out in the afternoon providing excellent access to the reef system off the beach. You walk in ankle deep water for 300m and then make your way out to the system. The wind and waves will determine the visibility. 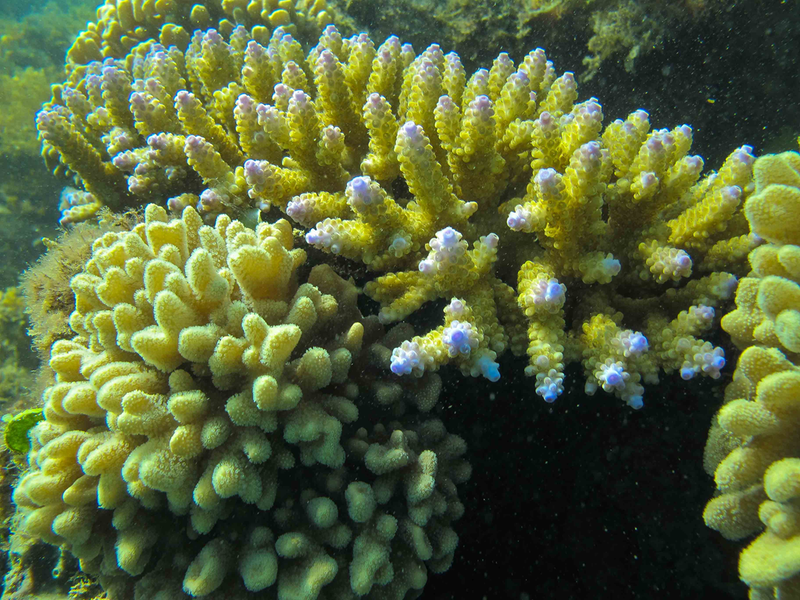 On boxing day we spent a couple hours snorkelling with excellent visibility. 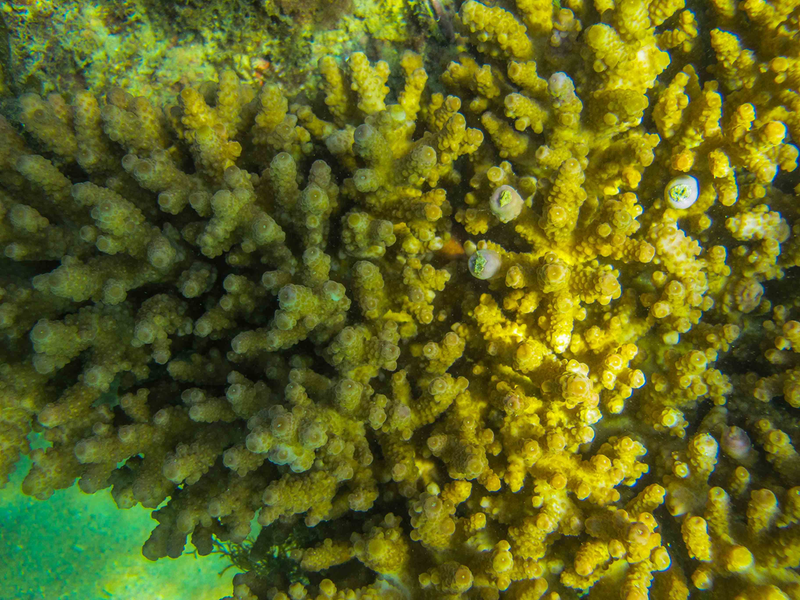 I was swimming with my Canon G12 and an underwater case. 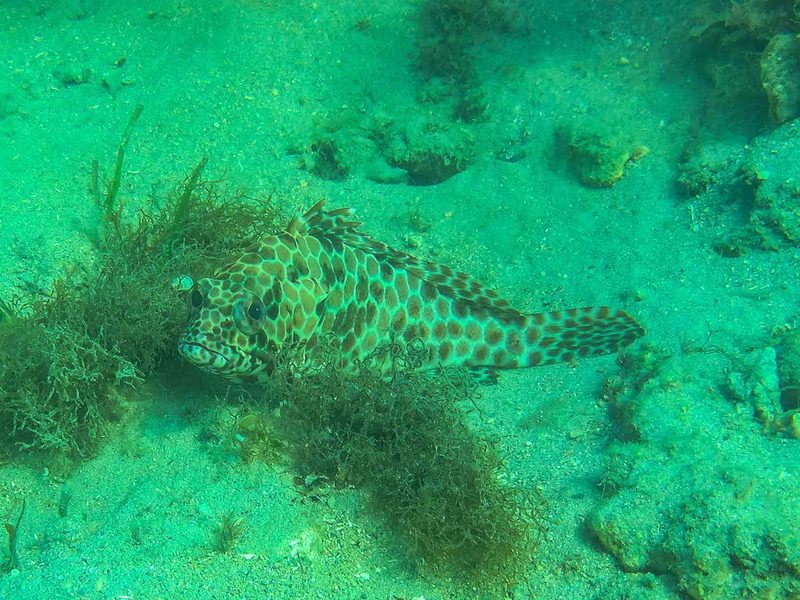 I have no idea what type of fish this is but the camouflage was very impressive. 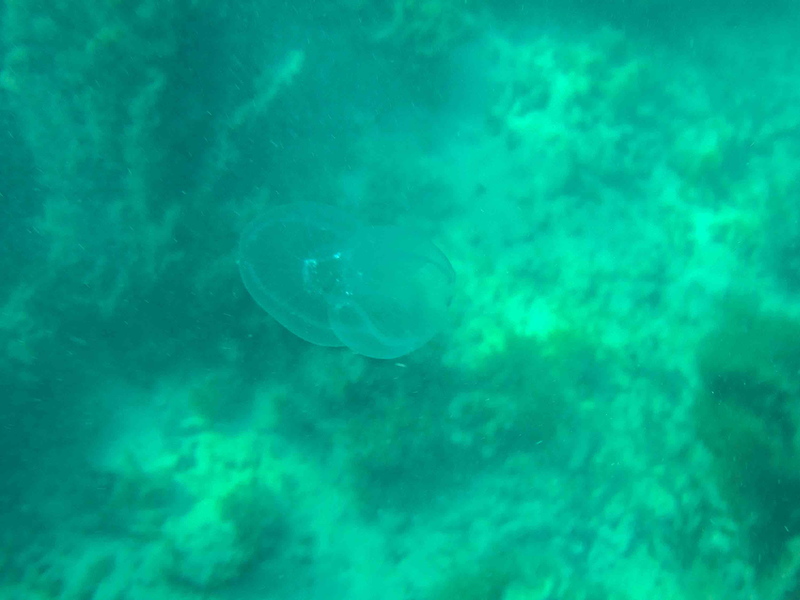 There were a few jellyfish so you had be careful. Most people were not wearing a stinger suit. 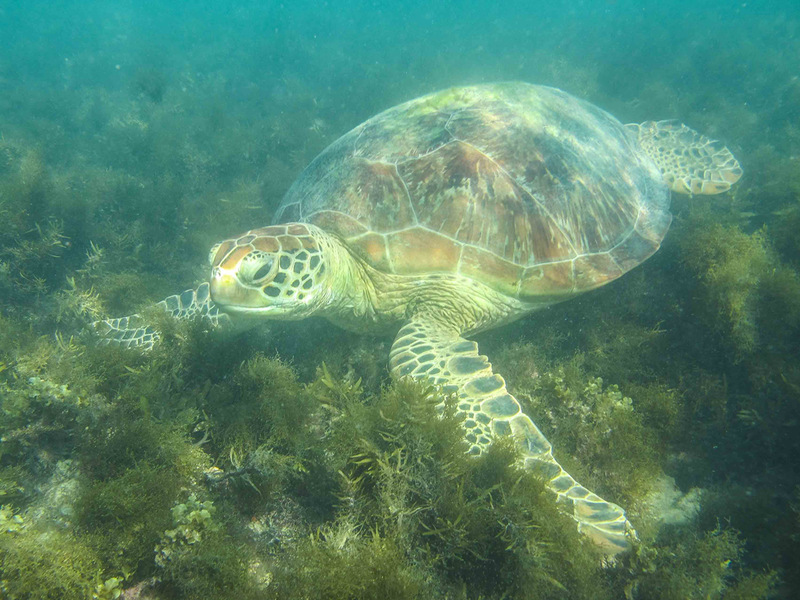 I happened upon this huge sea turtle grazing. 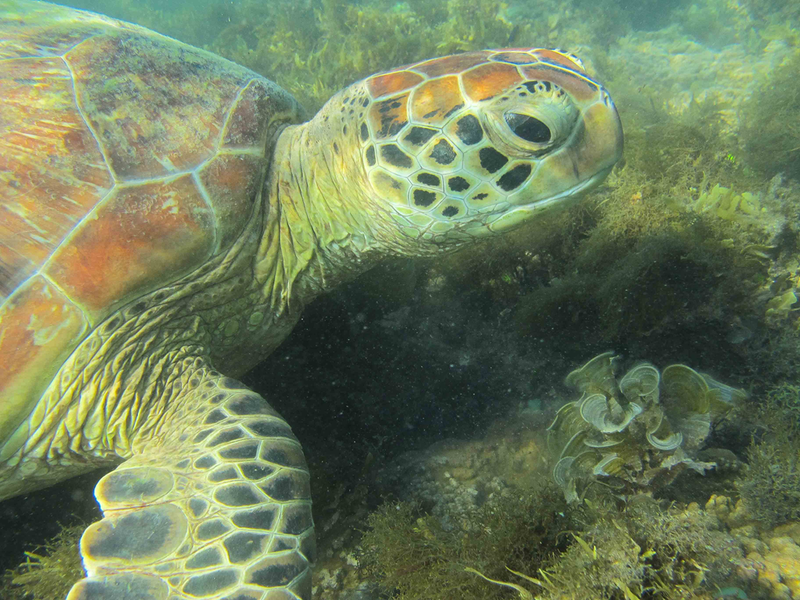 No one else was around so I just hung out for 30 minutes swimming beside him/her and snapping shots. They are such magnificent creatures. He/she was not bothered at all. 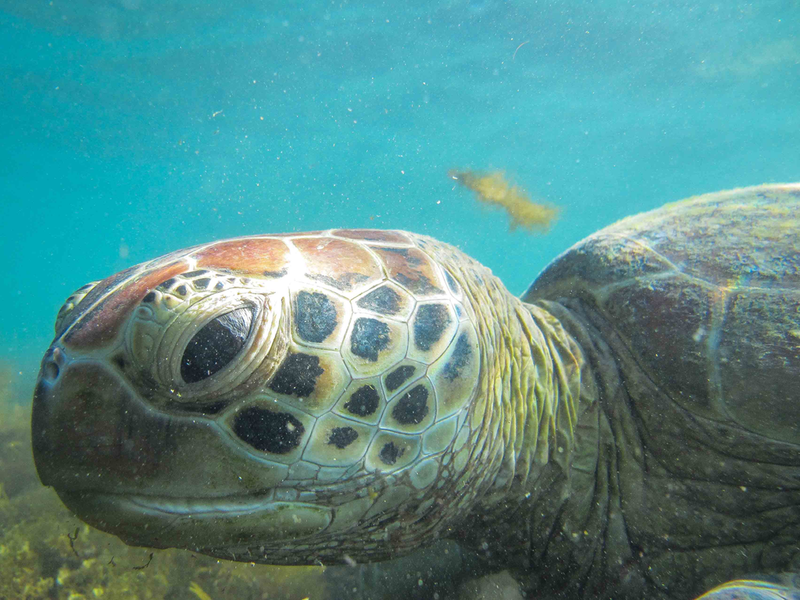 The turtle was over a meter long. Beautiful. 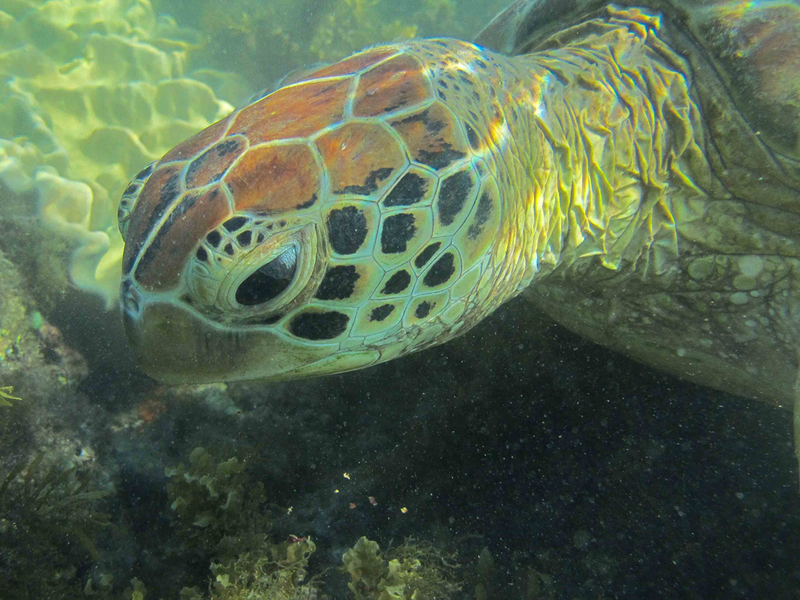 This entry was posted in Our Asia Adventure and tagged Australia, Canon G12, Canon WP-DC3 waterproof housing, Hamilton Island, reef, sea turtle, Snorkeling by michaelweening. Bookmark the permalink.